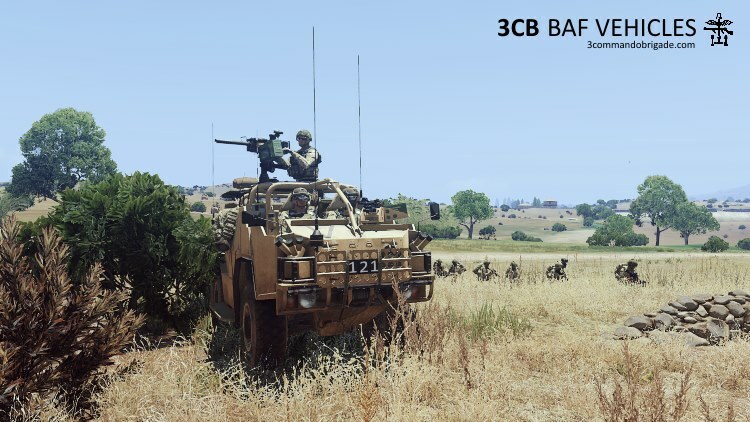 Great news... the 3CB modding team are proud to announce version 3.1 of our Vehicles pack. You'll find within the latest hotrod versions of the Jackal and Coyote Recon vehicles. We've also done a quick informal video showcasing what these great vehicles have to offer. New to version 3.1 is the addition of the Coyote Tactical Support Vehicle (TSV) in Passenger and Logistics variants, armed with HMG or GMG and in Woodland or Desert camo, plus a comprehensive upgrade to the existing Jackal 2. 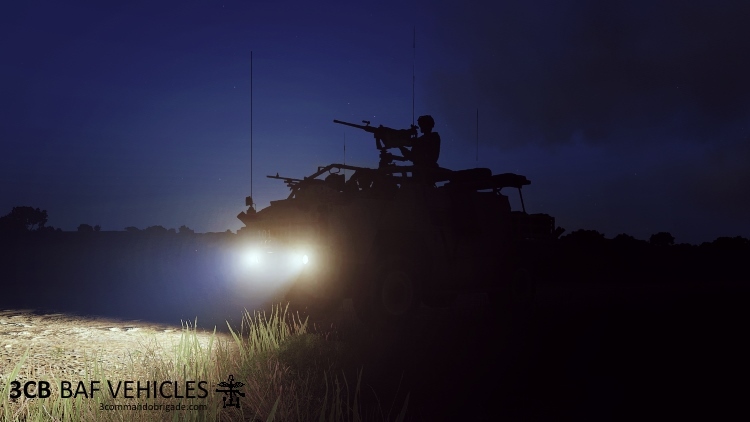 Jackal 2 is a high mobility weapons platform, used by British Armed Forces in the role of deep battlespace reconnaissance, rapid assault and fire support - roles where mobility, endurance and manoeuvrability are important. The chassis was upgraded over the original Jackal, allowing the vehicle to carry a greater payload and armour, and providing more strength for protection against roadside IED's. The Coyote TSV (Tactical Support Vehicle), introduced for operations in Afghanistan and entering service in late 2010, is based on a 6x6 derivative of the Jackal, designed by Supacat and manufactured by Babcock in the UK. Coyote shares common design features with the Jackal 2 and provides the same increased levels of protection and mobility. It’s 6x6 configuration offers a higher payload of up to 3,000 kilos and provides a large, flexible load space at the rear of the vehicle. With a crew of 3, two variants are provided - a transport version with 8 passenger seats, or a logistics version with just 2 passenger seats but a larger cargo carrying capacity.